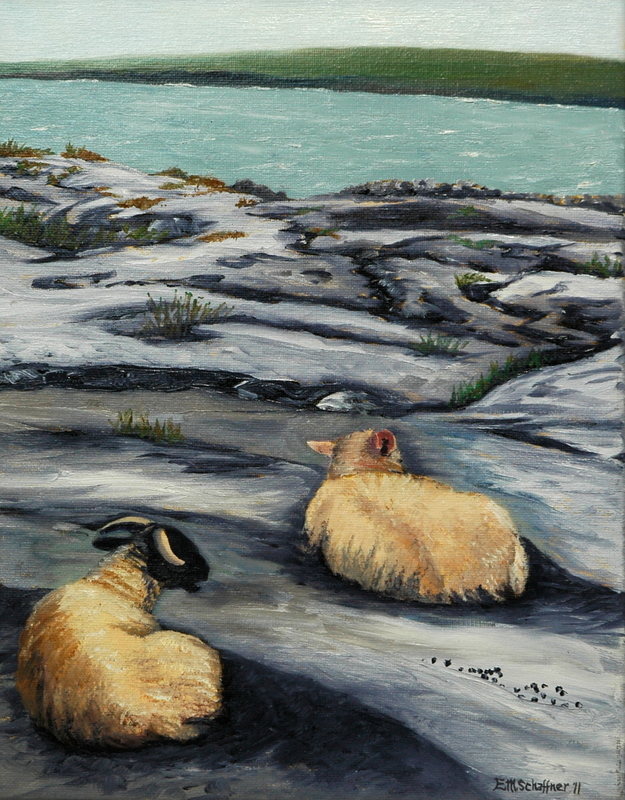 This 14" x 11" original oil painting was inspired by a trip to the island of Inis Oirr off the western coast of Ireland. We had just rented bicycles to tour the small, quaint island when we pedaled past these resting sheep. They gave no notice of me when I stopped to photograph them, inspired by the contrast of their warm, fluffy wool against the contours of the rugged rocks. This painting sells with a rough-hewn gray wood frame with a 2 inch profile.